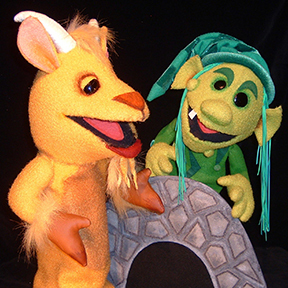 Pumpernickel Puppet shows are presented with a cast of colorful puppet characters, audience participation, live voices and sound effects and fast paced scripts that not only entertain, but stimulate children's imagination and creativity. A demonstration period follows every performance giving the audience some insight into what happens behind the scenes. 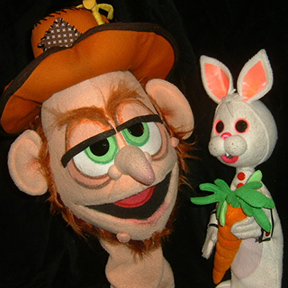 All performances last approximately forty minutes and are appropriate for children ages three and up. "Your show was so much fun and beautifully performed." "I cannot tell you how much we enjoyed your show! 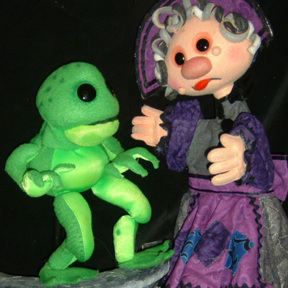 The kids and teachers loved you and your puppets."